After almost six years, Young Justice has finally returned, thanks to DC Universe streaming service. However, after being away for so long, DC’s Earth-16 has gone through a lot of changes, including some superheroes leaving the Justice League during hard times. 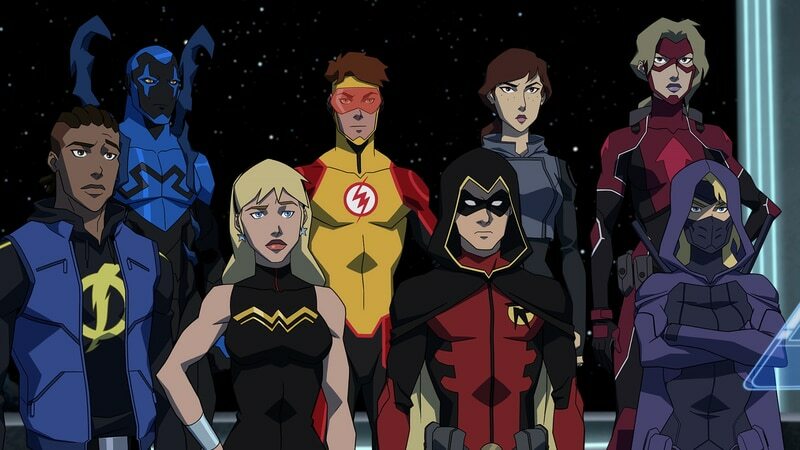 With the initial three episodes of Young Justice: Outsiders streaming, fans catch up with the League and their covert-ops team two years after the season 2 finale. The League is still struggling with the fallout from the Reach Invasion and public’s shaken confidence in heroes. When all heroes leave the meeting hall, Batman gives a signal to his sidekicks and asks Robin, Arrowette and Spoiler to join him. Wonder Gurk is shocked at their departure, as all of them leave without saying a word. Green Arrow gets chastised by Black Canary for bombarding the League, while The Flash, Dr. Fate, Rocket, Zatanna, Wonder Woman and Steel stay with the League. Nightwing has already left the team and decided to reach out to Black Lightning to look into the reports of the teenagers missing, which also relates to Jefferson Pierce’s own issues with heroism. He ultimately joins Nightwing’s group “Outsiders”, which also has Superboy and Artemis.